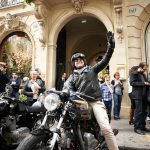 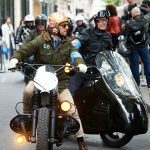 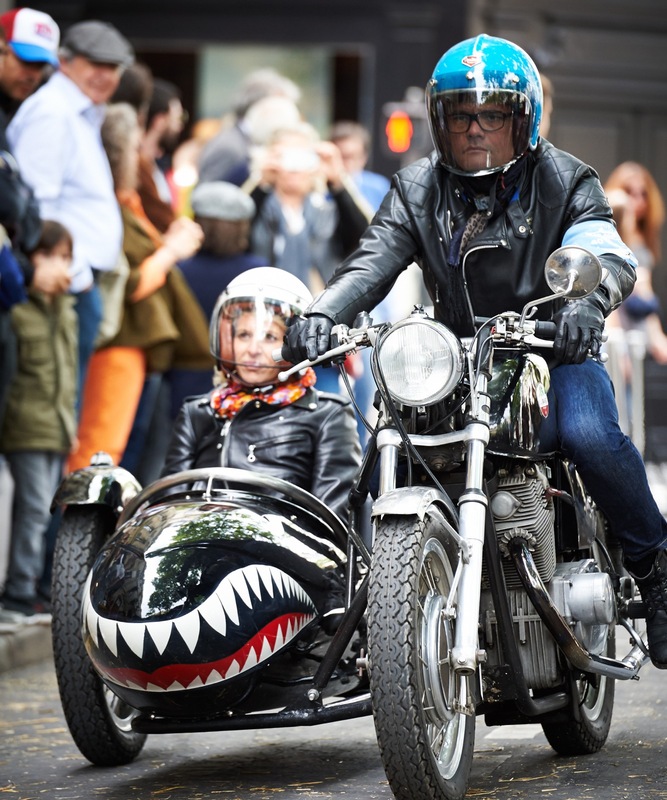 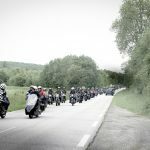 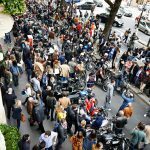 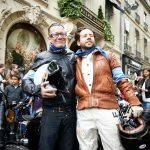 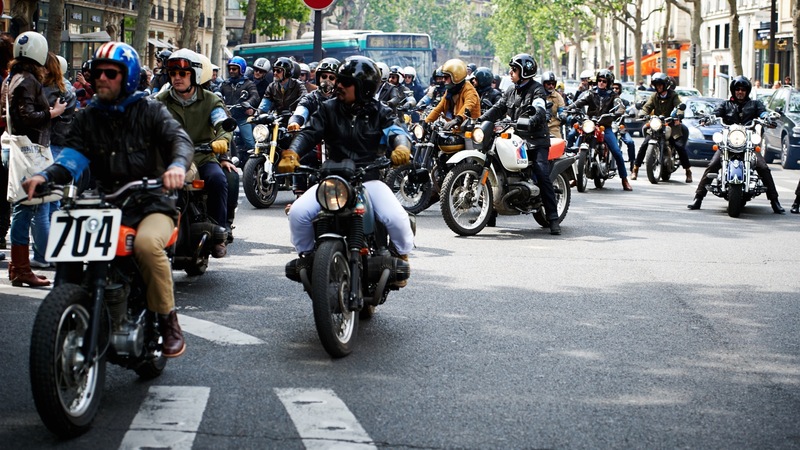 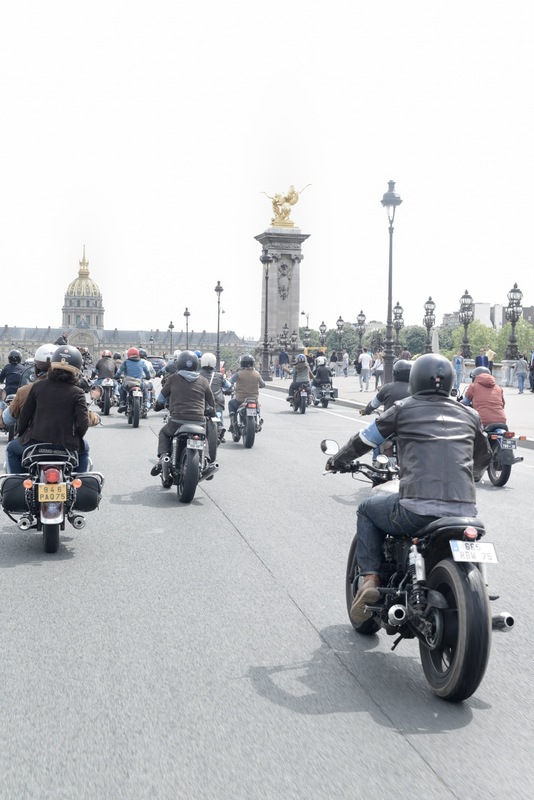 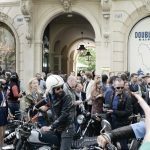 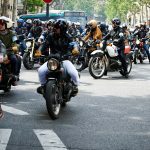 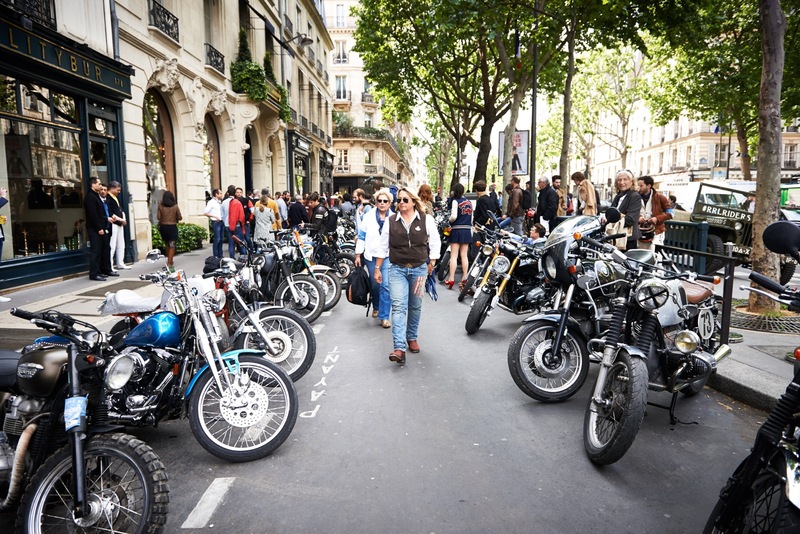 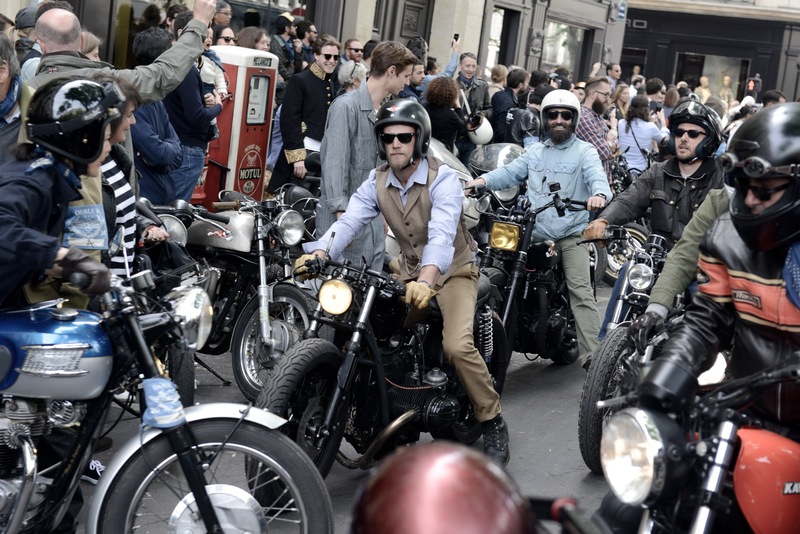 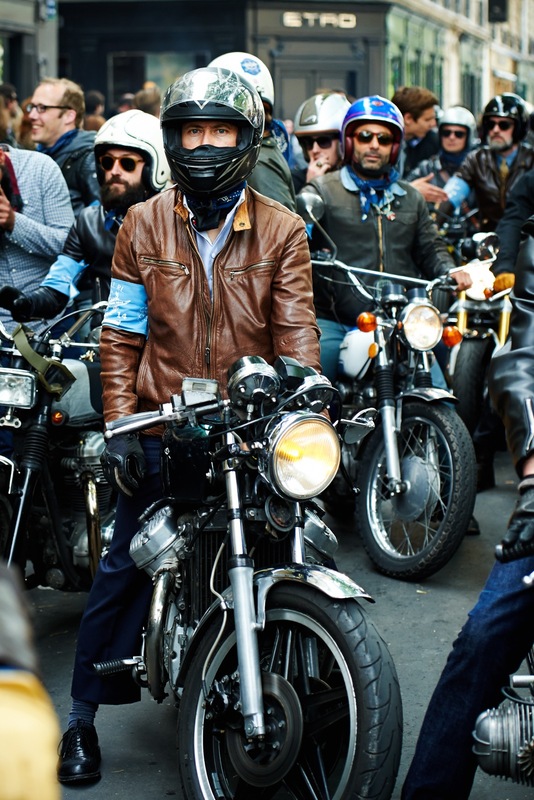 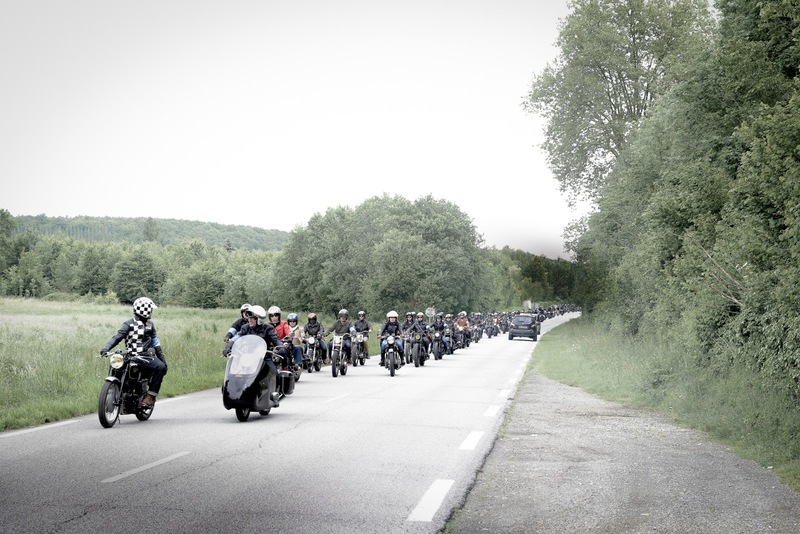 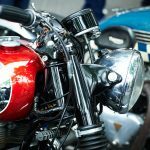 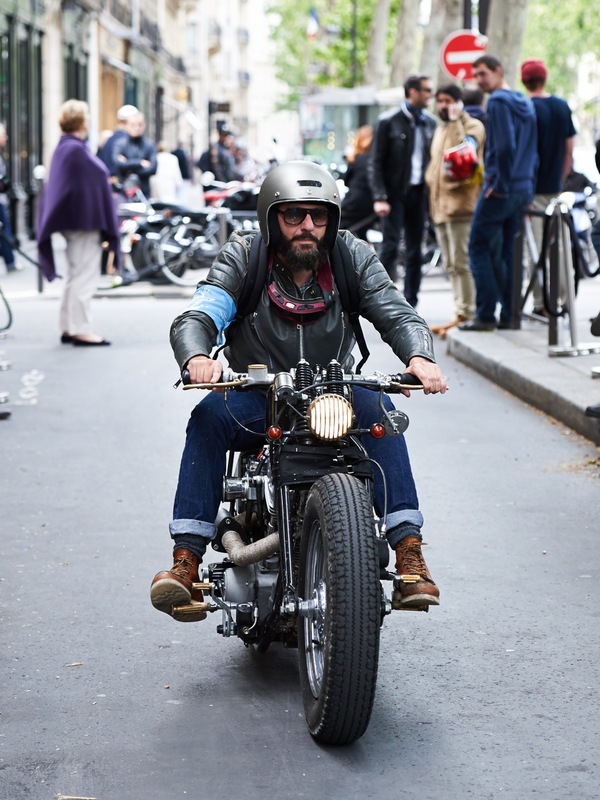 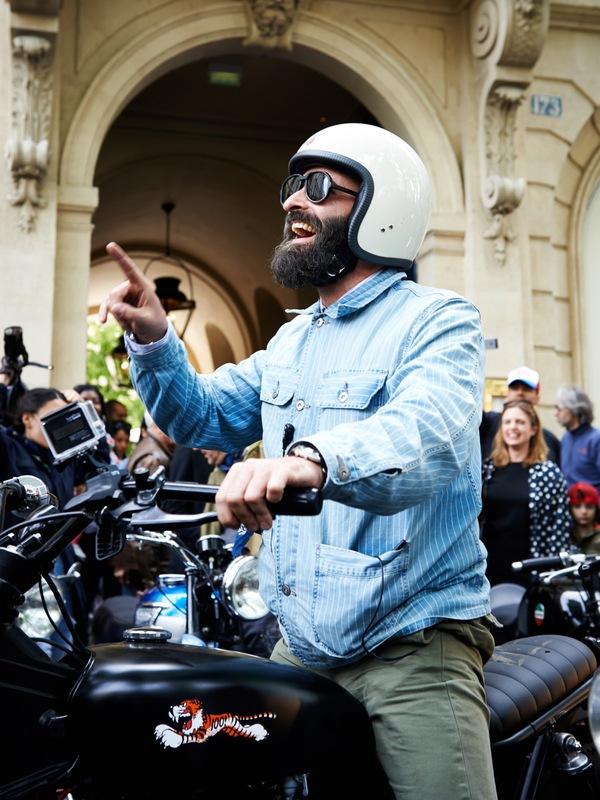 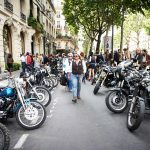 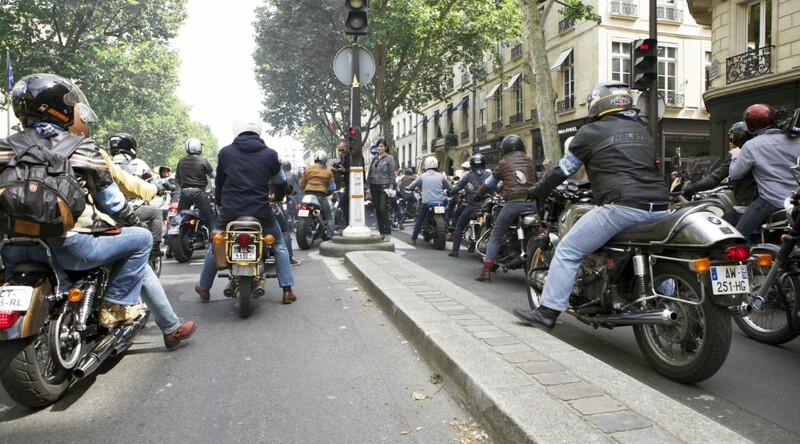 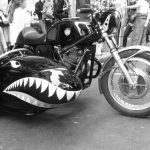 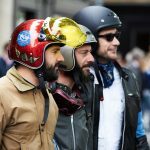 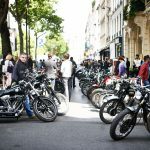 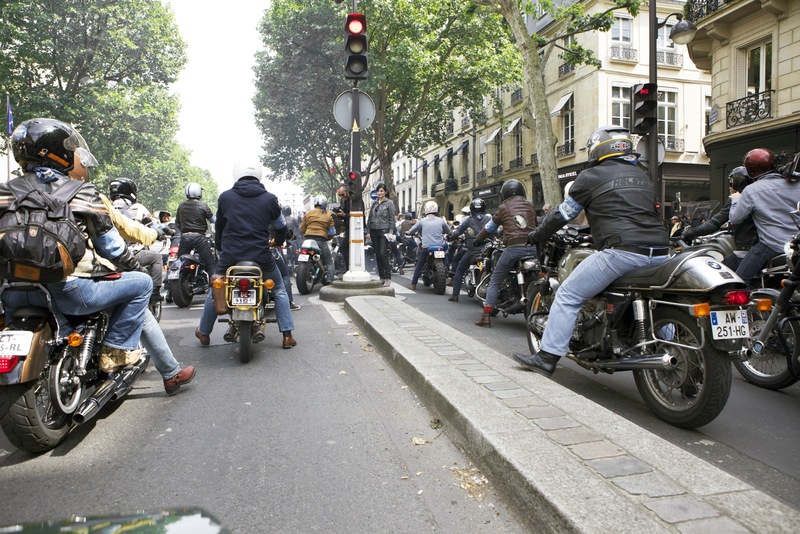 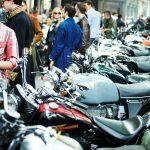 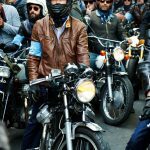 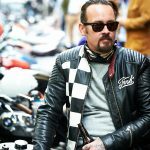 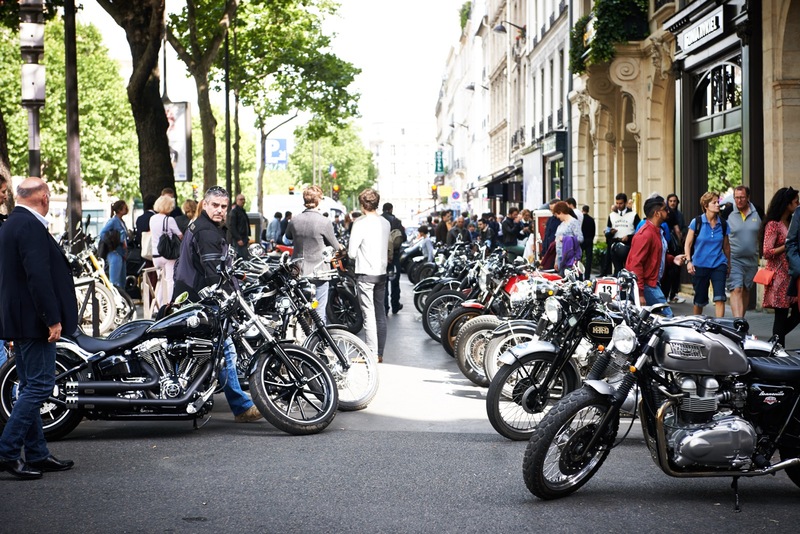 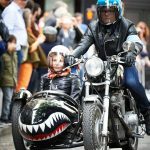 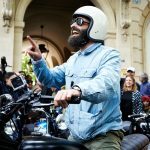 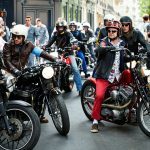 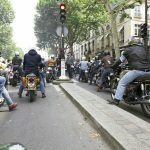 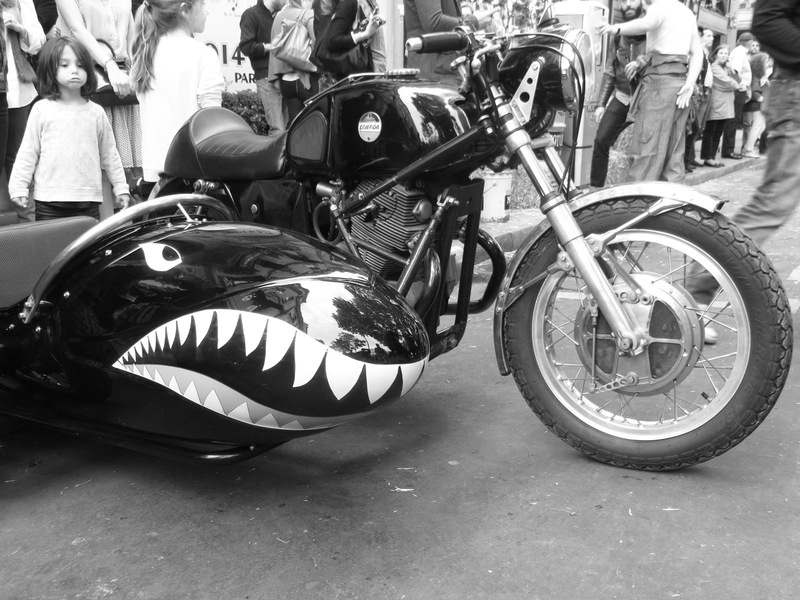 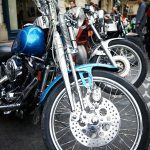 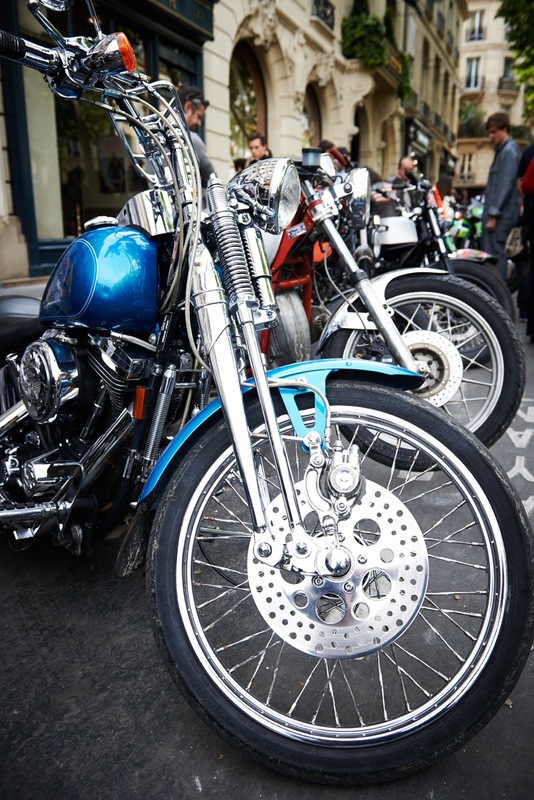 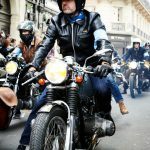 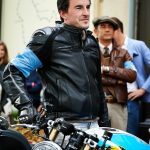 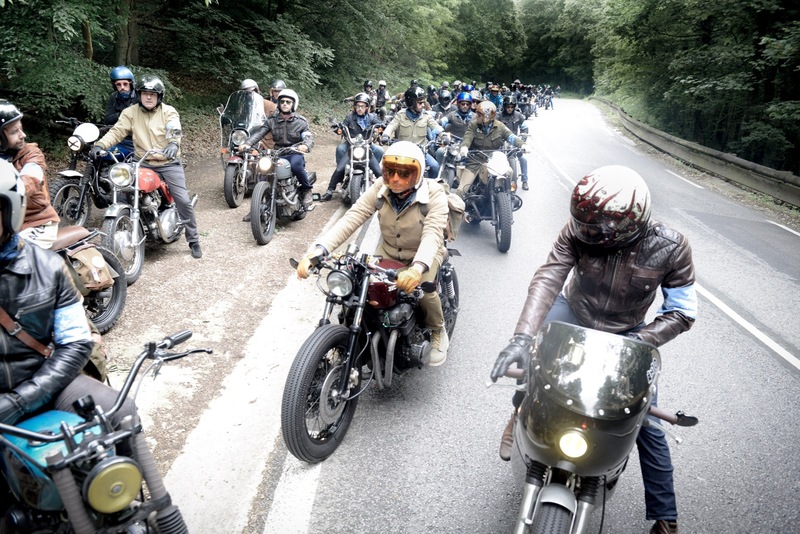 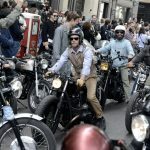 On Sunday 25 May, Paris bore witness to an unusual sight: 200 motorcycle riders revving their vintage and customised bikes through the streets, leaving the city with a noisy crescendo that turned the heads of all around. 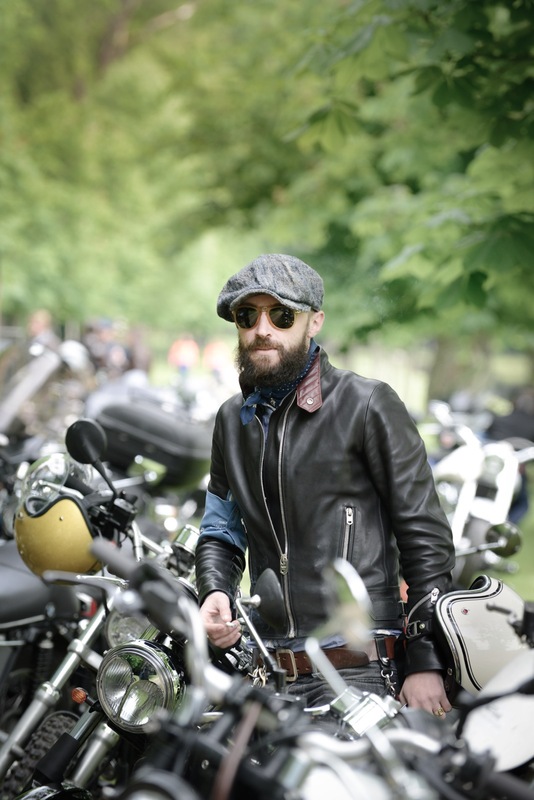 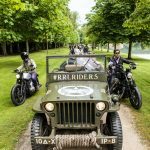 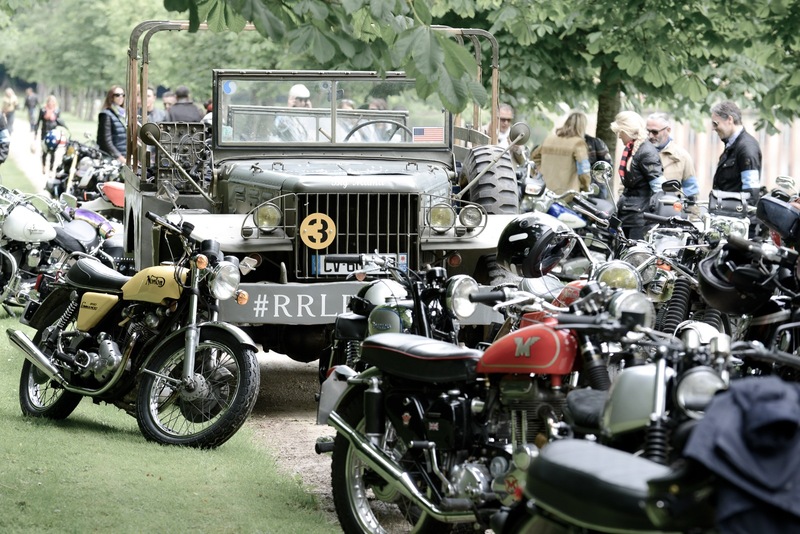 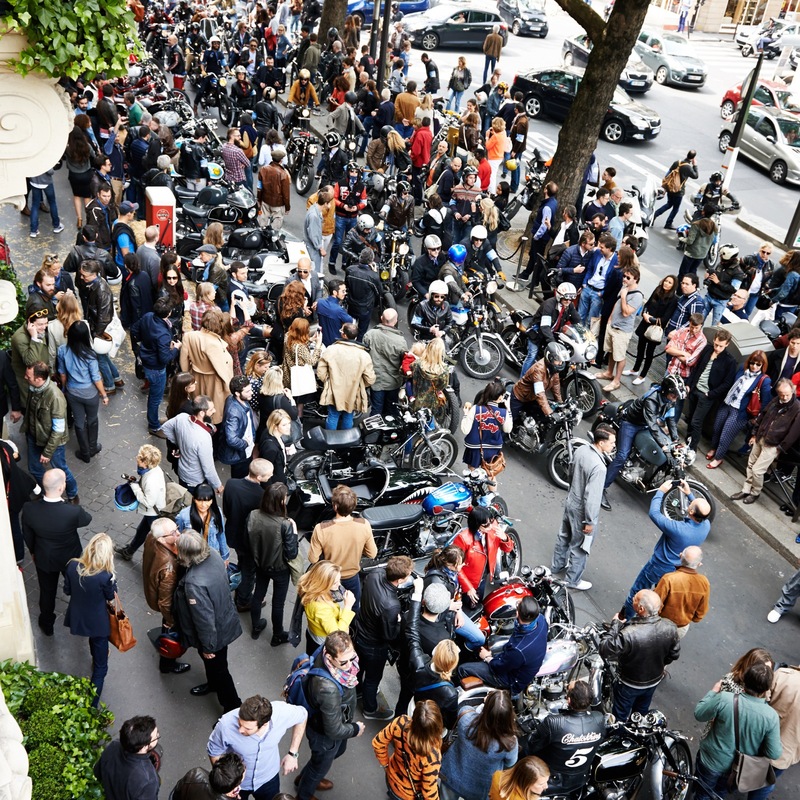 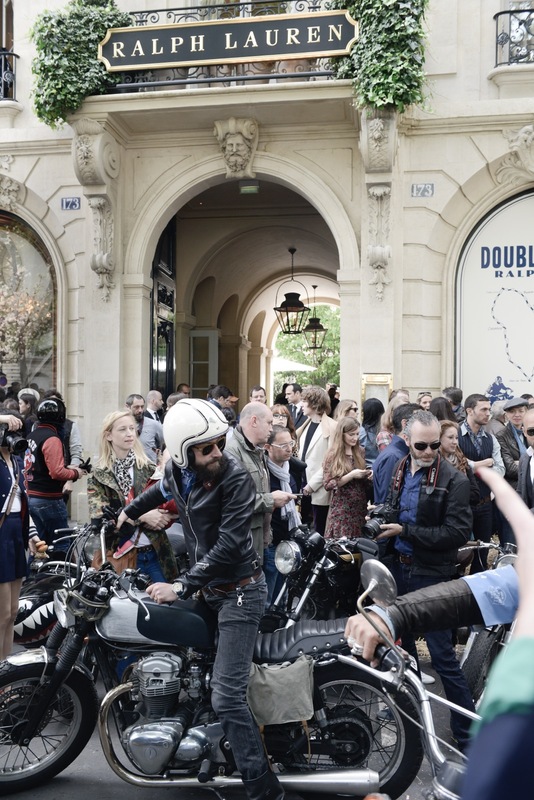 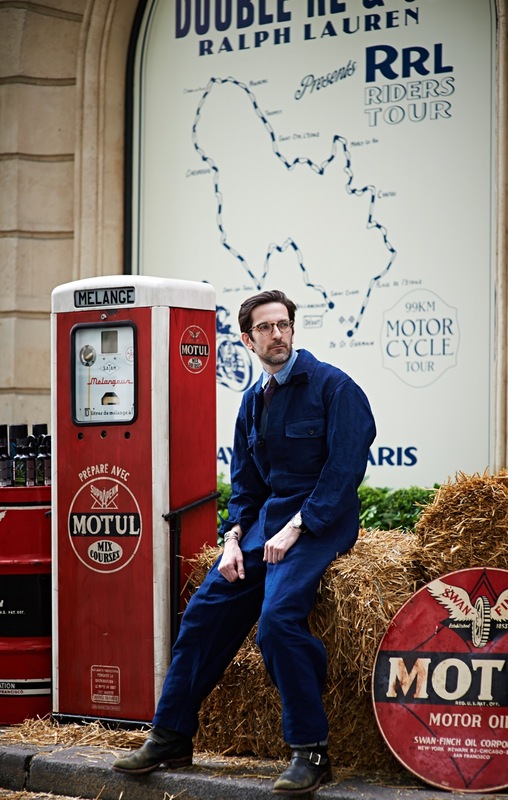 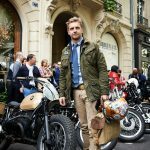 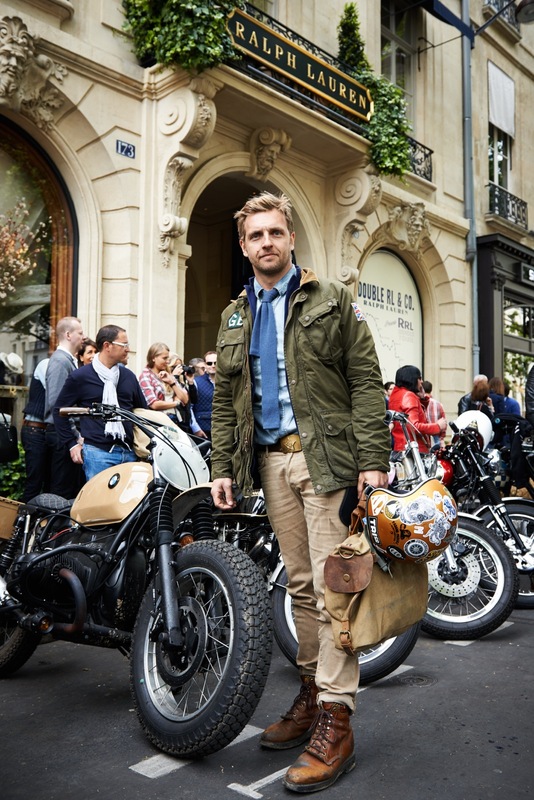 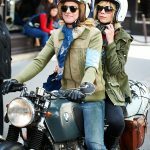 It was a one-of-a-kind event organised by RRL – Ralph Lauren’s denim line inspired by Americana and authentic, traditional workwear – in conjunction with Paris’ own resident hipster bike mechanics from Blitz Motorcyles. 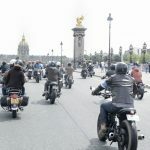 The route was 99 km and lasted for three hours, heading in a loop through Versailles, the Chateau de Dampierre and Saint Cyr l’Ecole, before finishing at the Ralph Lauren flagship store on the Boulevard St Germain, which had been decked out in vintage petrol pumps and bales of hay, to help add to the sense of adventure. 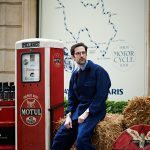 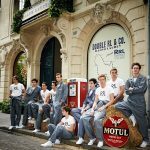 Participants and spectators gathered to watch the bikes receive some extra love and attention: a polish from Motul reps, dressed the part in vintage boilersuits. 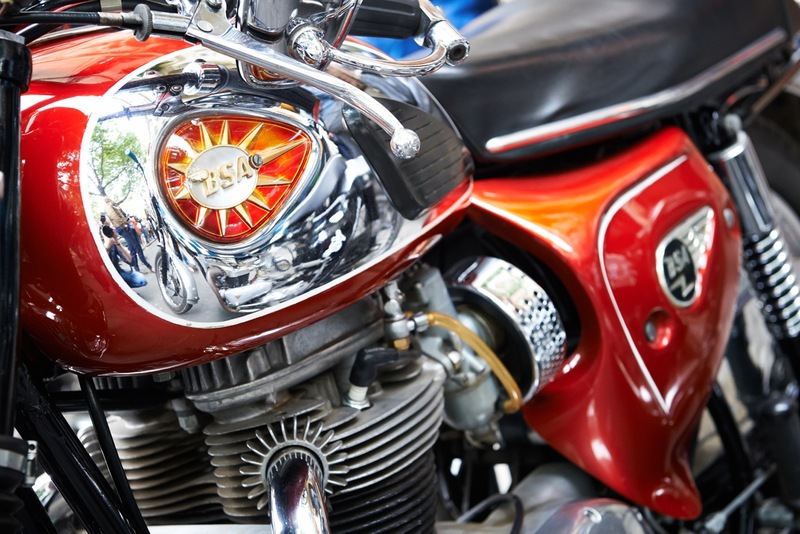 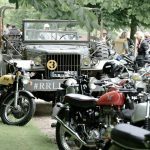 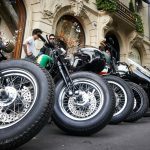 The bikes themselves would make any motoring enthusiast salivate with excitement: original British classics, customised Harleys, vintage BMWs and a fantastic selection of customs that Fred Jourden and Hugo Jezegabel from Blitz have created. 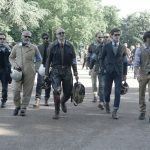 The event celebrated the RRL line that draws on the designer’s life on his ranch in Colorado and love of the American West. 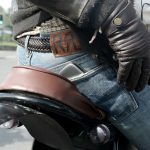 Created in 1993, the vintage, sportswear and workwear-influenced collection reinterprets US sartorial traditions, giving pride of place to that most emblematic of fabrics: denim, worked with artisan techniques for exceptional resistance. 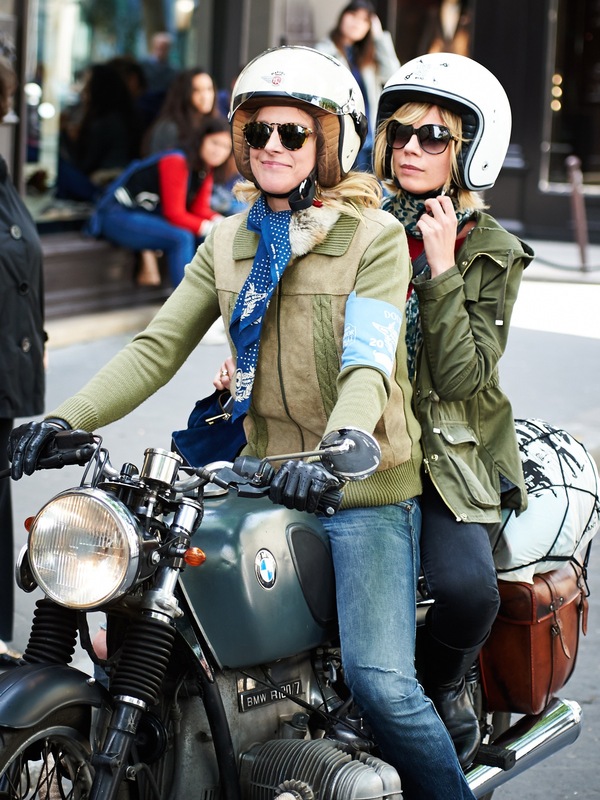 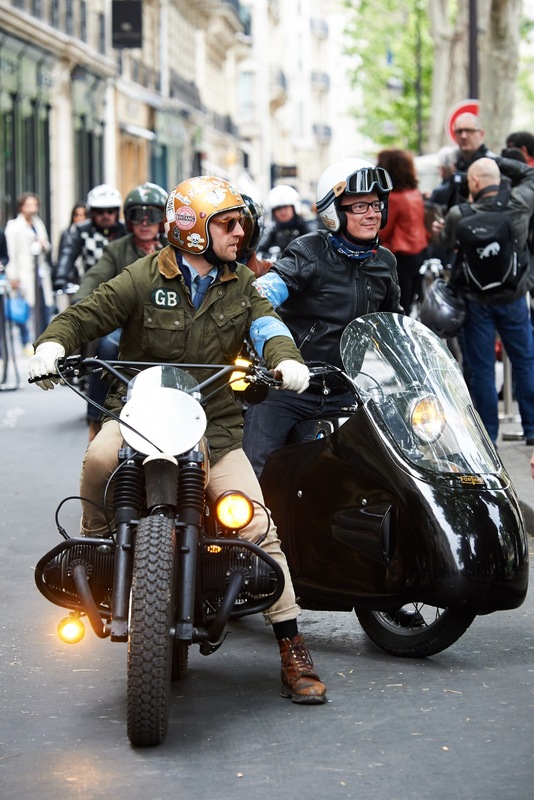 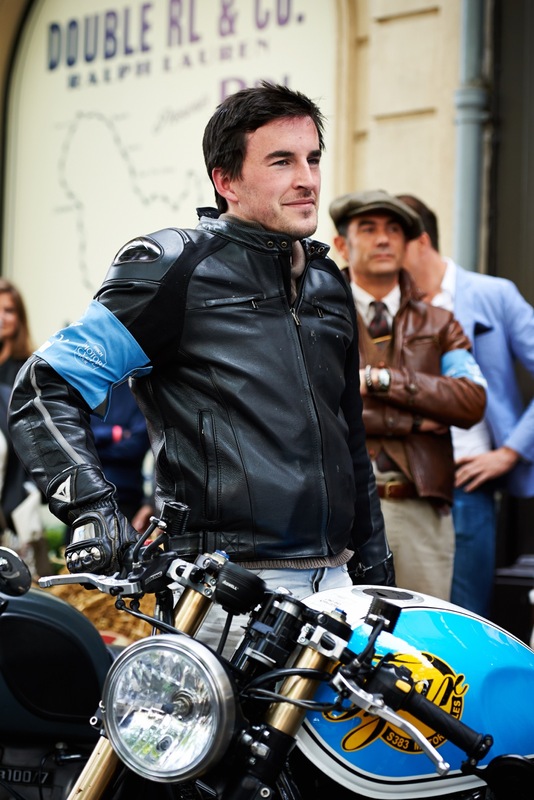 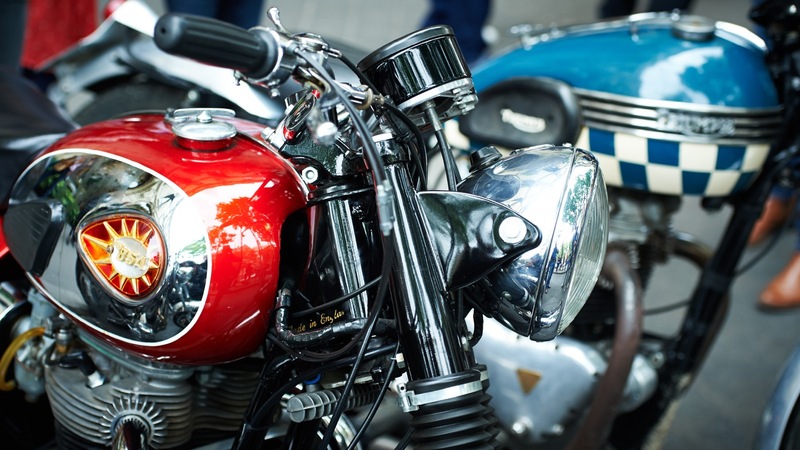 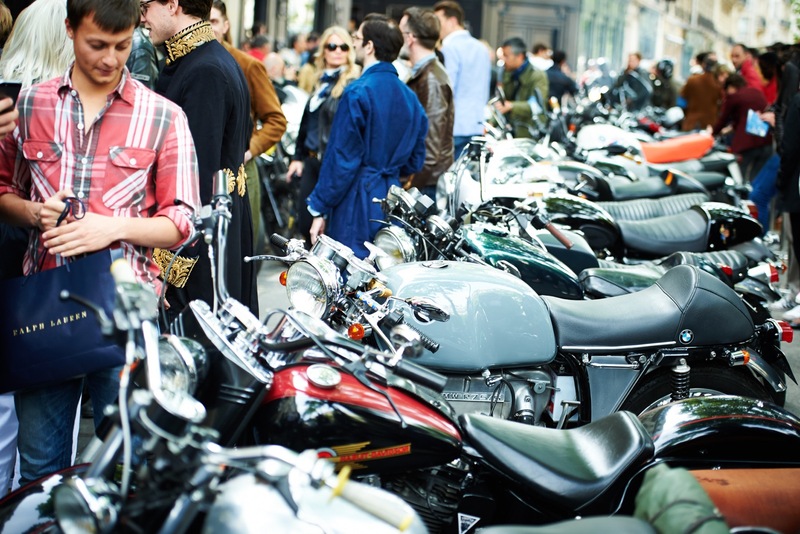 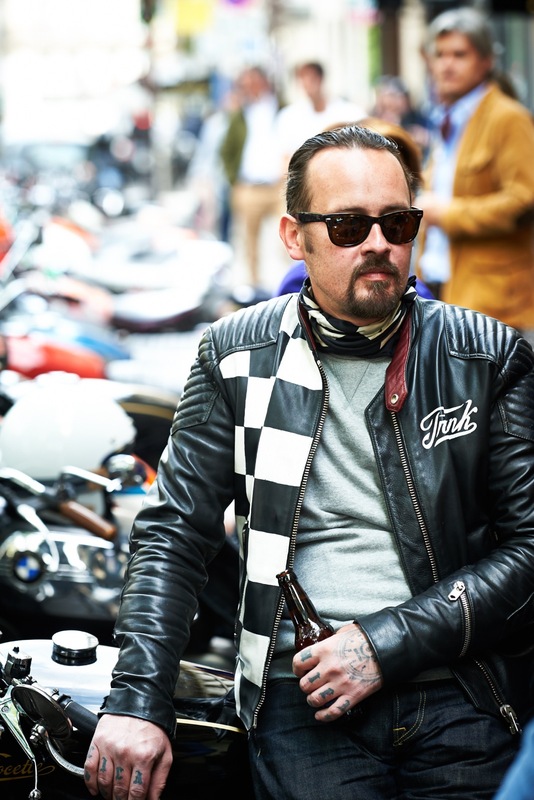 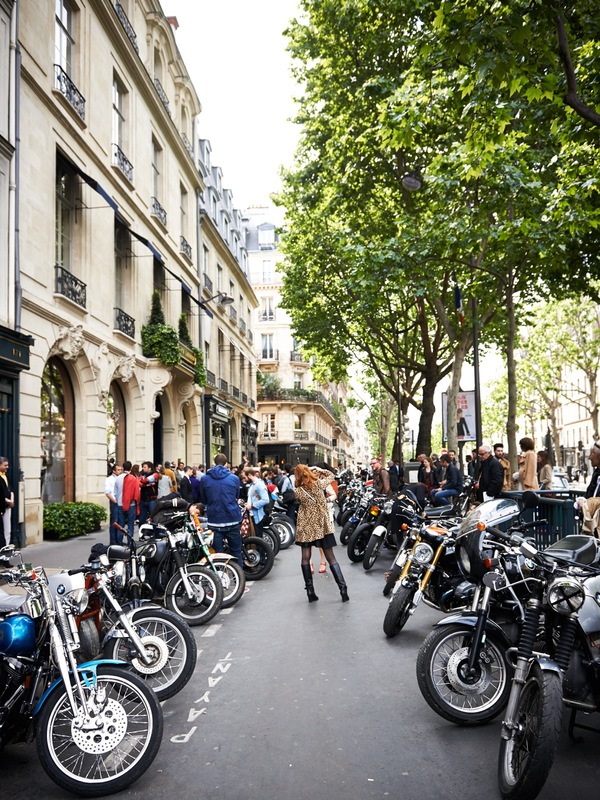 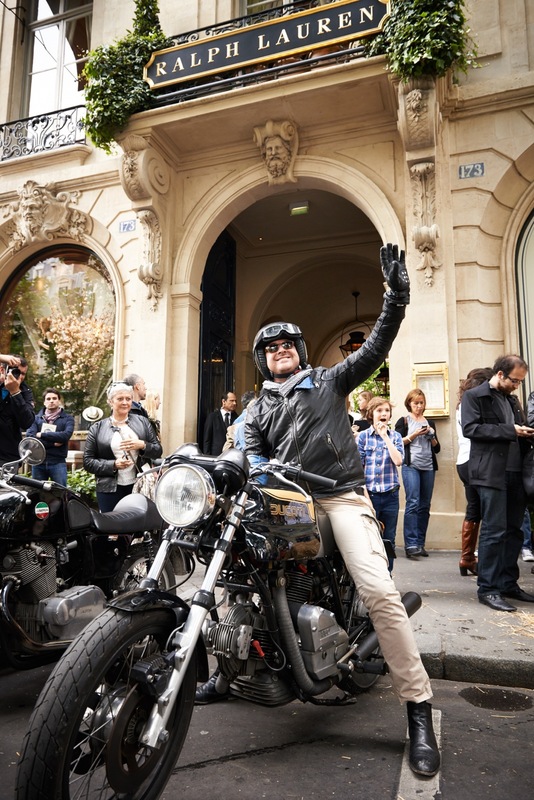 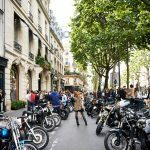 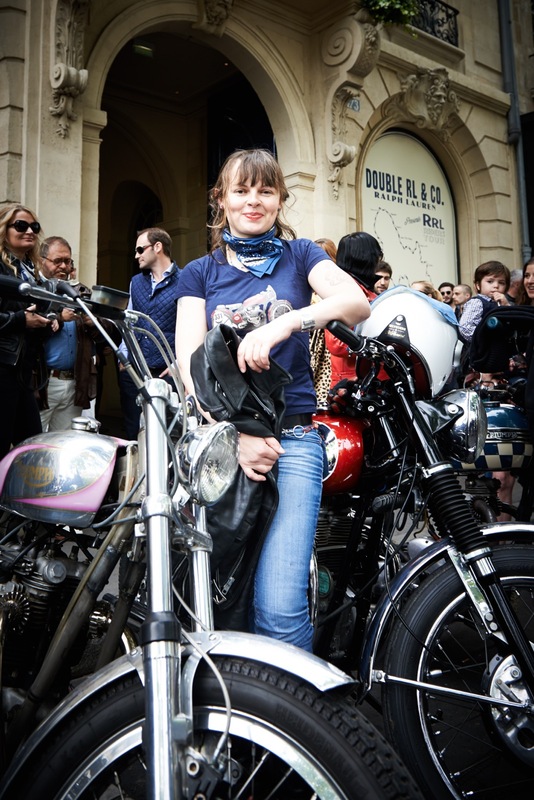 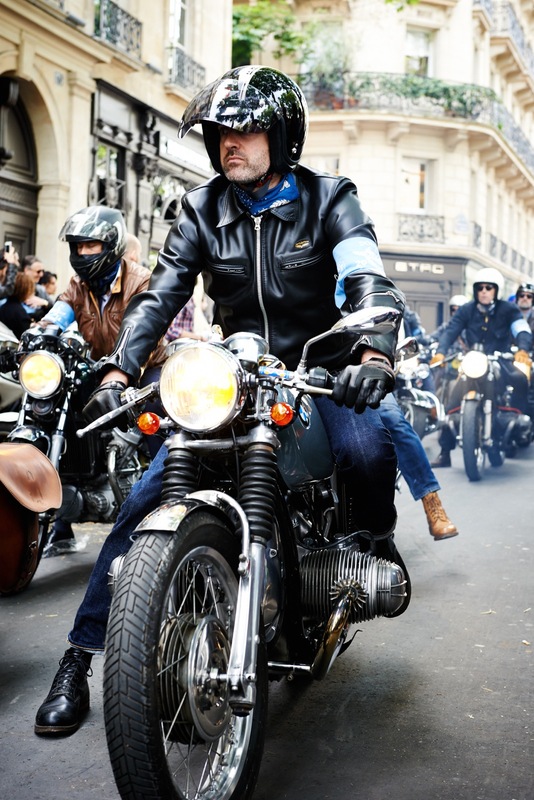 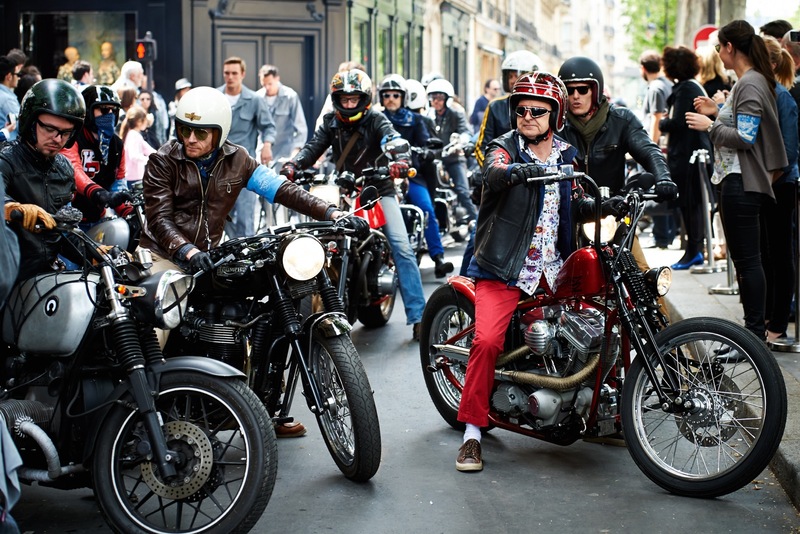 Easy riders found the same spirit in the legendary motorbikes – including an Egli Vincent, Triumph Rickman and Norton Commando – that were roaring over Parisian cobbles, bringing together fashion fans, petrol heads and vintage bike enthusiasts. 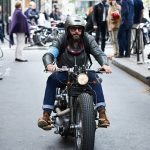 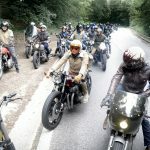 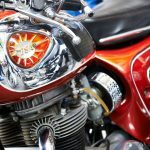 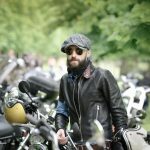 The event was loud, exciting and visually stunning, with some of Europe’s most dedicated riders showing off their awesome, personalized machines and strong sense of aesthetics. 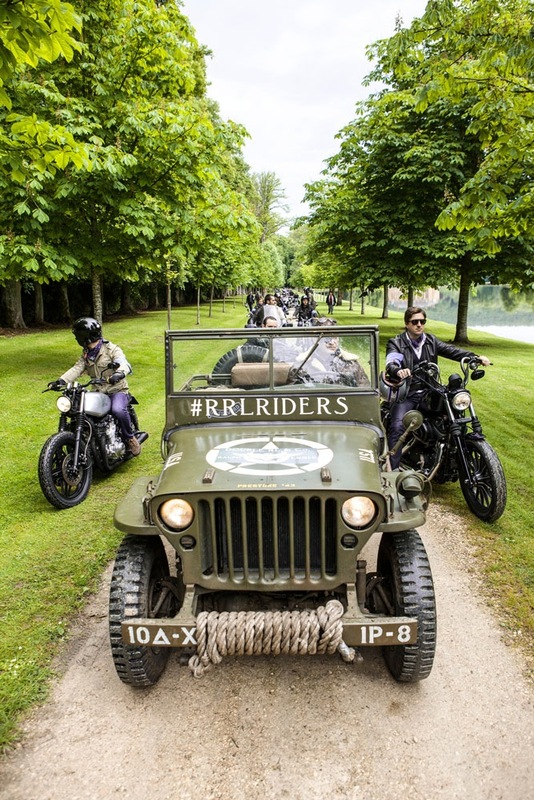 The tour was the first of its kind for RRL. 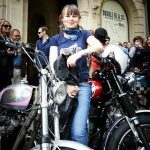 Here’s hoping there will be many more to come! 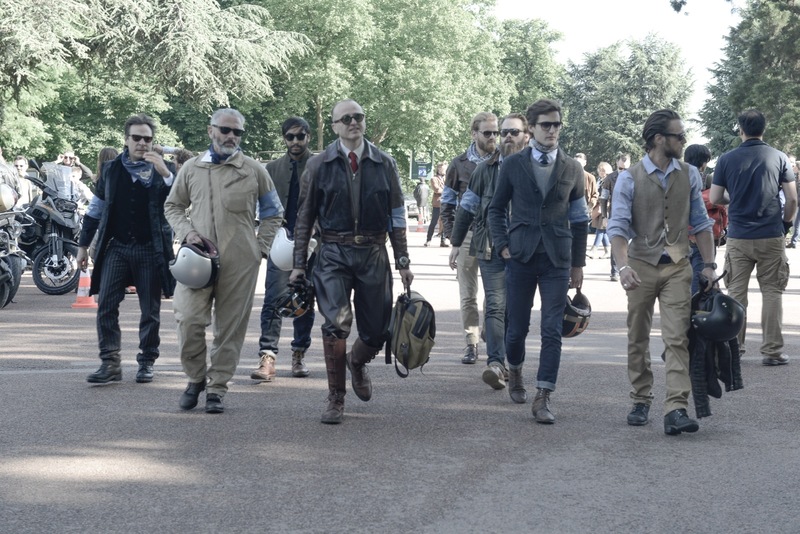 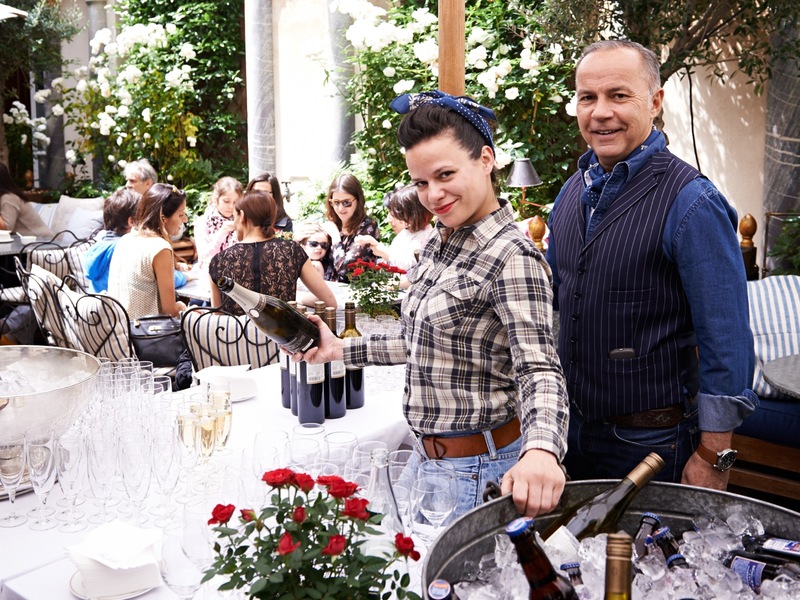 This advertorial was brought to you by Francesca, working on behalf of Ralph Lauren.